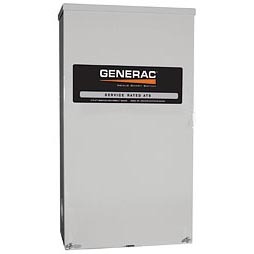 Try the New Generac #RXS-W-150A3 200amp Service Entrance (SE) Rated Transfer Switch. A 150 amp main breaker is built-in saving installation time and money. This is the only switch you should be using for a whole house transfer solution when a 150 amp electric service is existing. UL listed. This is an all aluminum enclosure.